Operating since 2009, HOPE for Prisoners, Inc is a 501(c)(3) nonprofit in Las Vegas, NV that facilitates comprehensive reentry and reintegration services to men, women, and young adults that are exiting various segments of the judicial system. The Vision of HOPE for Prisoners is to empower and equip men, women, and young adults to help them successfully reenter and effectively function in mainstream society. Our holistic approach is to encourage and impart hope into each client as we come alongside them and their families in efforts to transform their lives and educate society in ways to engage and support them. The program is grounded in the belief that with the proper assistance, men and women returning to the community can overcome the many barriers to effective living that the incarceration experience can create. The vision of the Las Vegas Metropolitan Police Department is to be the safest community in America. That’s why we are in partnership with HOPE for Prisoners. When members of law enforcement are involved in mentoring and training returning citizens, it reinforces our commitment to building productive community partnerships. This type of collaboration enhances the opportunity for HOPE graduates to become productive members of the community and helps those fighting for a second chance to live transformed lives. In 2012, after several months of conversation and sharing vision, the Las Vegas Metropolitan Police Department (LVMPD) made an unprecedented and bold decision not only to allow but encourage their law enforcement officers to engage with the formerly incarcerated as an integral part of the HOPE for Prisoners team. The unique relationship that is shared between LVMPD and HOPE for Prisoners that began with an initial volunteer group of seven officers now includes a team of over 60 members of the department who train and serve as mentors for the men and women we are privileged to serve when they come home from incarceration. During our monthly workshops, a team of officers comes to transparently share their own stories and to relate on a personal level with our clients. They share their desire to work alongside and support the efforts of men and women who are taking steps to become productive members of society. The opportunity for both law enforcement and the formerly incarcerated to interact in a safe environment has been instrumental in helping everyone involved to develop and maintain a mutual respect. Hope for Prisoners gave me optimism, positivity and hope. The definition of I am Hope-integrity, accountability, motivation, honor, optimism, perseverance and excellence. I use it in my everyday life. Hope gave me the tools to present myself and be confident during interviews. They taught me how not to be frightened by my past because it does not define me. As a believer I know that I can succeed. I used to think my past defined me but Hope for Prisoners helped me know that I can do all things through Christ and that I am what I say I am, because it lines up with what God says I am. Everyone there is so supportive. The social workers, the instructors the administrators and the mentors are always there for me. The weekly Huddles are just like a ministry to me. It’s just like food to me. I go there hungry and the speakers give such powerful words that amazingly encourage my mind and soul even as old as I am. I have learned so much through the power of the words coming forth from the speakers over my life. I thank God for Hope for Prisoners, because God works through it restoring and transforming lives, just like it did for me. Because of the innovative leadership of the LVMPD, and their commitment to utilizing creative methods to positively impact our community, our clients can closely engage with department members that includes Executive Staff, Area Command Captains and patrol officers. HOPE for Prisoners graduation ceremonies are held at LVMPD Headquarters each month which is impactful to our clients and symbolic of the partnership that is working to change lives. The recognition that HFP received at the National Day of Prayer has prompted other jurisdictions around the country to take a deeper look at what is taking place in Las Vegas, NV regarding law enforcement involvement in the process of reentry. Due to the acknowledgement, participation from other local law enforcement agencies has increased in addition to our pool of LVMPD volunteers. HOPE for Prisoners is confident that this partnership is key to changing mindsets and repairing the breach that has developed between law enforcement and communities. Helping to developing healthy communication and relationships is imperative for our clients to succeed and continue to have a positive impact in our community. 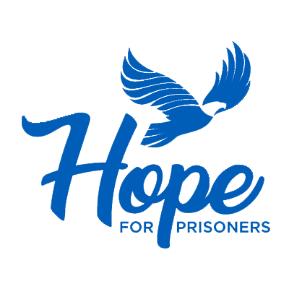 Hope for Prisoners serves individuals released from Federal and state correctional facilities, local jails and rehabilitation centers as well as those currently participating in special court programs. HOPE for Prisoners has built a strong relationship with local law enforcement and many members are active participants in the program. He has also established deep ties with potential employers, service providers and community leaders that play a vital role in the success of our clients. Mentoring is key to success. Mentors commit to stand by their client and help them find solutions to the challenges they face during the reintegration process. Clients have a positive influence that may not have existed for them in the past. The University of Nevada, Las Vegas Center for Crime and Justice Policy performed a study of prisoner reentry in Nevada and the Hope for Prisoners program over an 18-month period.